©Barry Sandland/TIMB – This wooden bike is part of the publicity for Banks Mansion hotel in Amsterdam… I am entertained by the idea of the hotel being the owner, that this is the building’s bike. Yes, yes, delivery bikes are ‘owned’ by the business. This goes one step further. 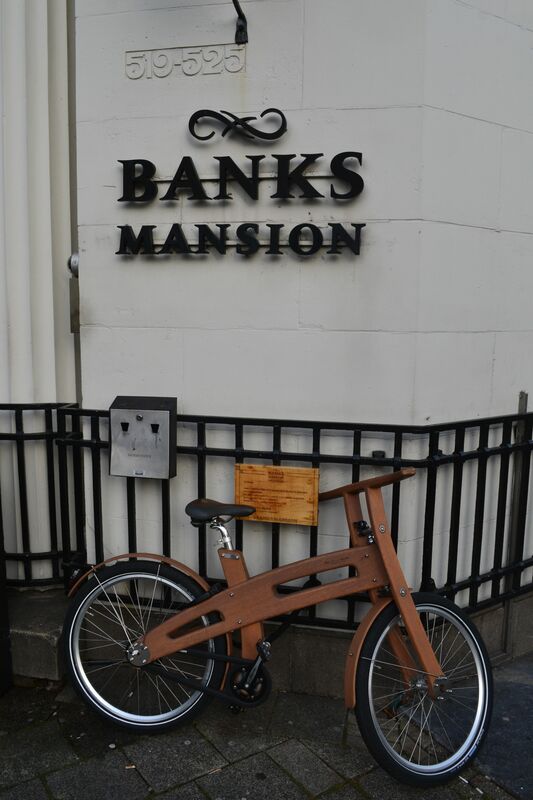 As an oddball detour, this bike was resting against its owner – the Banks Mansion hotel in Amsterdam. I am a wooden bike and my owner is the Banks Mansion hotel behind me. Because I am made from wood, I am totally recyclable and good for the environment. Something Banks Mansion loves a lot! Photographer’s Notes: If you like the idea of people riding bikes, then it is either Amsterdam or Copenhagen. Bikes rule. While bikes are a constant for businesses and deliveries,. I am entertained by bikes being used for publicity, in this instance, tying the hotel to the Dutch bike culture. This entry was posted in Europe and tagged amsterdam, wooden. Bookmark the permalink.